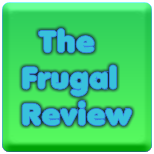 FRUGAL REVIEW: Try Redbox Instan's 30 Day Free Trial! Try Redbox Instan's 30 Day Free Trial! Redbox Instant's NEW unlimited streaming membership. Members will also get a bonus of 4 kiosk rentals each month for only $7.99. Consumers can cancel anytime at no cost within the first 30 days. After the 30 day free trial, they will be billed $7.99 plus tax. Receive up to 70% off Arts and Crafts supplies. Target Exclusive Offers And Top Promotions! Free Baby Gifts And Coupons! Free Trial From Honest Company! Receive a free sample of Prilosec OTC. Receive 150 FREE 4x6 prints from Snapfish. How To Make Homemade Chocolate Spread. Win Tech Prizes Through AARP.